Former Securities America, Inc. broker Hector Anthony May, of New City, NY, pleaded guilty last December to running a $7.9 million Ponzi scheme along with his daughter, who served as the controller of his investment advisory firm. Now, Securities America, Inc. has been hit with an $18 million lawsuit filed by former clients who claim that May and his daughter defrauded them of $18 million over 17 years as the financial advisor to the Connecticut family. 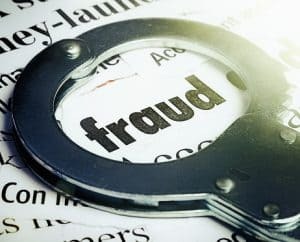 The lawsuit further alleges that Securities America and Securities America Advisers, Inc. allowed the fraud to occur by failing to adequately supervise May and his daughter. The Plaintiffs in the lawsuit are seeking $18 million, which they claim the Mays converted to their personal use, plus five times that amount in the form of punitive damages. If you or someone you know lost money as a client of Hector May or Securities America due to unsuitable, misrepresented, or unauthorized transactions, please call the Frankowski Firm at 888.741.7503 or fill out this contact form.